Believe it or not, the first smartphone, called the Simon Personal Communicator, was released by IBM in 1992. While the smartphones we know and love today may look different, they still aim to fulfill the same needs that the Simon did almost thirty years ago. 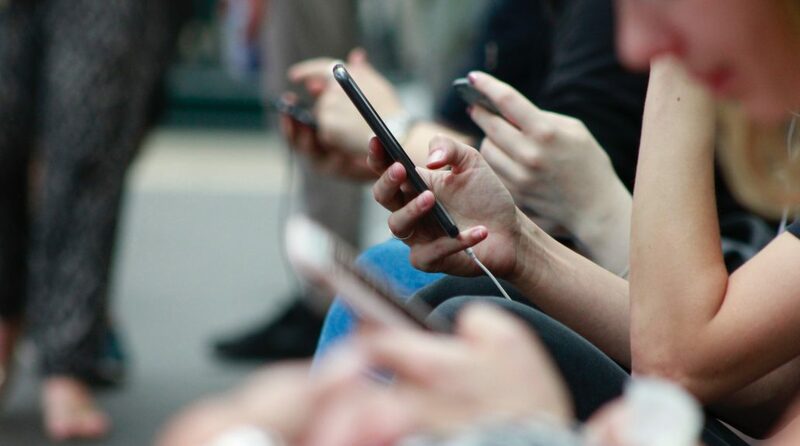 There have been many debates over different devices, services and operating systems, but one thing remains true: the impact of smartphones is unparalleled. There are currently 2.5 billion smartphone users in the world and that number is expected to grow to almost 2.9 billion by 2020. There is a strong sense of brand loyalty that heavily influences the smartphone market. People are more likely to purchase a new smartphone from the same manufacturer that made their old smartphone. This means that all product releases must be highly competitive in order to create movement in the market. Many companies have released their own smartphones; some met with success, some not. However none of them have seen the same level of success Apple did with its iPhone. The iPhone changed the game in terms of design and operating system standards, and few have been able to meet or exceed those standards since. It wasn’t until recently that Google proved to be a threat to the smartphone monopoly Apple had created with the iPhone. Google released its first smartphone in 2016, a product that would join its Pixel line which consists of tablets and laptops. The original Pixel smartphone was met with relatively mixed reviews, but still managed to reign supreme as the top Android option. A second version, Pixel 2 was released a year later but all of the product issues had not yet been resolved. In October of 2018 Google released the latest version of its smartphone, the Google Pixel 3. This new smartphone has quickly stolen the hearts of Android users and has actually converted some Apple fans. Before I get into the nitty gritty details of each smartphone I want to make one thing clear – this is a race for features, not sales. This is important to note because the Google Pixel 3 resulted in a shift in the smartphone market that is more heavily related to disruptive features rather than disruptive sales. The Google Pixel 3 did the one thing that manufacturers before it could not, it released a smartphone that included almost all the features the iPhone includes, and then some. iOS and Android have long been pinned against each other to see who would come out on top in terms of design and service, but the features battle between Google Pixel 3 and the iPhone XS takes things to a whole new level. Dual, front facing cameras – Allows you to take group selfies while fitting everyone in the shot. Google Lens – You can search what you see. For example, you can point your camera at a famous landmark and Google Lens will provide information on it. Playground – Brings to life characters and captions. Top Shot – Automatically recommends the best picture where no one is blinking and everything looks good. Night Sight – Brings out all the best details and colors that get lost in the dark. Fast charge – Lasts all day. Adaptive battery – The Google Pixel 3 learns your behavior over time and limits battery for the apps you use less often. Digital Wellbeing – Allows you to track your habits and be more mindful about using your phone. Google Play – Users can download variety of Android-specific apps for their device. The device is unlocked to work with any major carrier. However, Verizon is currently the only carrier that is allowed to sell it. Portrait mode on camera – Allows users to take professional-style pictures with their smartphone. Dual camera system with adjustable depth control. Splash, water and dust resistant – Can last a maximum of 2 meters for up to 30 minutes. Apple Pay – Allows cashless payments for App Store purchases and more. Apple App Store – Users can download a variety of iOS-specific apps for their device. While these two feature lists are impressive, many people have directed their attention to a particular aspect of the smartphones’ design: the notches. Both the iPhone XS and Pixel 3 have notches on the top of their screens. The Pixel 3 also has a bar on the bottom of its screen. Jason Sipriani states that the notch “hides the front-facing cameras in an attempt to give you more screen without increasing the size of the phone.” These notches have become the brunt of many jokes, but in all seriousness this specific design feature will have an impact on both iOS and Android user experience designers. Previous versions of both the iPhone and Pixel had the typical rectangular screens, so the addition of the notch and the augmented screen may prove to be a challenge for design teams. There are numerous reasons consumers decide to purchase one smartphone over the other, but camera quality is arguably the most influential. The Google Pixel 3 can compete with most of the basic features the iPhone XS has but the Pixel 3’s true claim to fame is the quality of its camera. Many users are arguing that the most important differentiation between these smartphone cameras is that where the iPhone XS needs two lenses, the Pixel 3 only needs one to produce an image of equal or better quality. Google and Apple are the only two companies that control both the design of the hardware and operating system of their smartphones. This level of control allows them to stand above others in the market. The race is close but the bottom line is that access to top of the line smartphone devices is no longer limited to just Apple users. Kate Aaknes is currently a content marketer at Seamgen in San Diego, CA. Seamgen is a web design agency dedicated to designing and developing world class digital applications. They are known for building innovative digital products across a multitude of different industries including healthcare, hospitality and automotive. Next Article Next post: Want to find the latest pranks on YouTube? Not so fast.